An eighth-teaspoon twice a day (or 3 pumps twice a day if using our pump bottle), mornings and bed-time for 24 days, discontinue for 6 days then repeat every month. If symptoms are severe you may increase this dosage to a quarter-teaspoon twice a day (or 6 pumps twice a day), but monitor progress and increase or decrease as required. 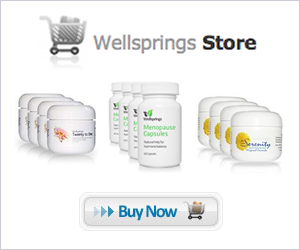 Using Wellsprings creams will not make periods start again. You may wish to try cutting out HRT immediately at the outset of using your Wellsprings cream, or you may prefer to phase out the HRT over a 2 month period. To do this you must first determine if the HRT you are taking is an oestrogen and progestin combination and if so, change to an oestrogen only treatment (the combination of Natural Progesterone at the same time as a Synthetic Progestin is to be avoided). In the 1st month of using your Wellsprings cream and oestrogen-only HRT together halve the dosage of HRT (to half the normal HRT dosage). In the 2nd month halve the HRT dosage again (to a quarter of the normal HRT dosage) In month 3 cease HRT altogether.